The Sneddon family is growing up with music. Gary, a math professor at Mount Saint Vincent, and his wife, Kadre, a Doctor in Family Practice, have six children: Sean (11), Tessa (9), Daniel (8), Molly (5), Jonah (2), and Maggie (0). Kadre was the first musician in the family, playing the piano, trombone, and violin. The children are home-schooled and the oldest five are currently enrolled in violin lessons. They play with the Nova Scotia Suzuki String Ensemble (NSSSE) at the Maritime Conservatory for the Performing Arts in Halifax. The oldest boys are both classical music enthusiasts and are also now taking piano lessons as well. 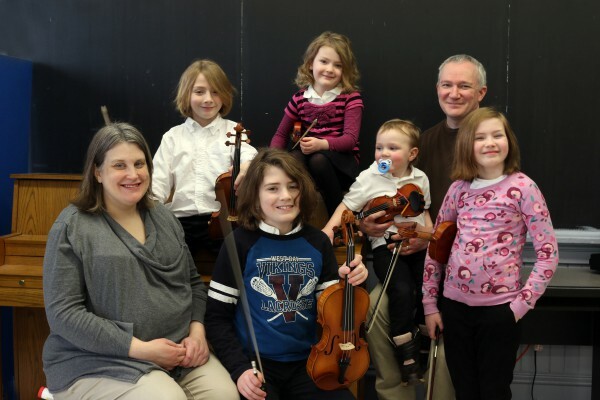 Gary recently shared his thoughts on their family experiences with Symphony Nova Scotia. Here’s the newest arrival, little Maggie Sneddon. “Before the children arrived, we attended Symphony performances once in a while, but not to the extent that we do now,” says Gary. 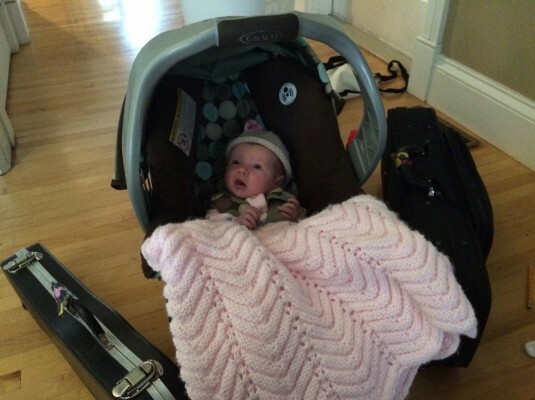 “Our interest in the Symphony really grew out of our children’s interests. Kadre takes the two oldest boys to Symphony Nova Scotia concerts. Sean first went to Handel’s Messiah three years ago (at age 9) and both Sean and Daniel have been to a few classical concerts at the Cohn and Alderney Landing since then. Mozart’s Requiem was one of them. The girls, Tessa and Molly, have been to The Nutcracker a couple of times with me and will be going to Sleeping Beauty this year as well. The TD Under-30 Access Pass is really important to our family. We have five (now six) children, and without the pass, they definitely would not have been able to go to as many things as they have at the Symphony. “Music is important to the family unit. Parents need to be engaged with their children to make sure that they continue to be engaged. Because my children are home-schooled, music lessons and playing in the youth orchestra provide important social opportunities. Most of their friends are made through music. “Attending Symphony performances helps the children appreciate music in general. One advantage of a live performance is being in a concert hall. They are there until intermission with no other distractions and they have to concentrate. They learn to discipline themselves to focus and listen as well. It’s good for them to see everyone playing instruments and watching how the conductor keeps everyone on track and working together. “We attended the Family Series concert at the Maritime Museum of the Atlantic last year. Celeste Jankowski had recommended it. She plays in the First Violin section of the Symphony and also teaches our oldest boy. Celeste is always telling us about Symphony things we might be interested in. “I was there with all five children. I was actually surprised at how many people showed up for it. The place was jammed! “It was great in terms of the Symphony reaching out to the public. It was about an hour long and they offered a lineup of music that most people would recognize. The program was well thought out and well designed for what they had intended. Everyone enjoyed themselves. “If you have children, I would say you should definitely go… and If you have a stuffy, ‘old-style’ view of Symphony Nova Scotia, this will definitely change your mind.